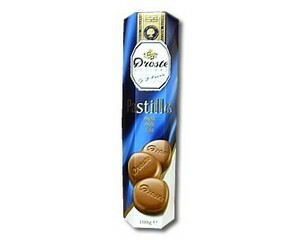 Droste Milk Chocolate Pastilles 100g tube contains 20 discs of wonderful milk chocolate. 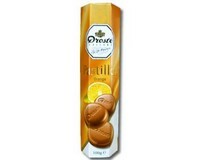 Ingredients: Sugar, cocoa butter, whole milk powder, cocoa mass, milk fat, emulsifier: soya lecithin, flavouring: vanilla. 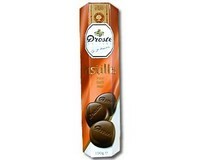 Cocoa solids 35% minimum. May contain traces of nuts.